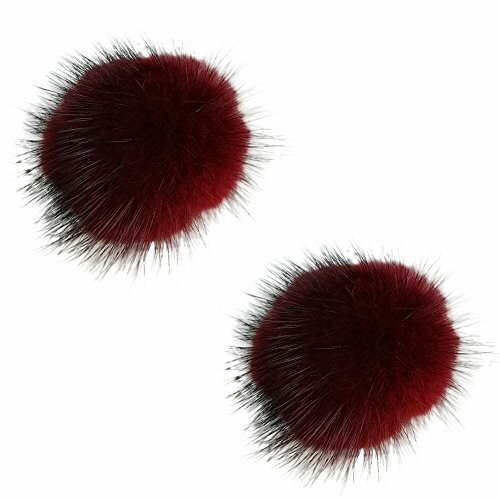 L'vow Women' Fluffy Mink Fur Pom Removable Shoe Clips Clutch Wedding Decoration Pack of 2 (Wine) by L'vow at SCRHI. MPN: Mink Fur Pom-17. Hurry! Limited time offer. Offer valid only while supplies last. Size;1.9 inchs (5cm) ; Material: Faux Mink Fur ，100% brand new. Style: Shoe Clips-Instantly transform shoes with the latest fashion trend ;Versatile shoe clips attach on flats, boots, sandals, pumps. If you have any questions about this product by L'vow, contact us by completing and submitting the form below. If you are looking for a specif part number, please include it with your message.